Everyone’s favourite dermatologist and winner of the strongest stomach on YouTube award 2017 Dr Pimple Popper is back in a new video that’s literally bigger than anything she’s done before. 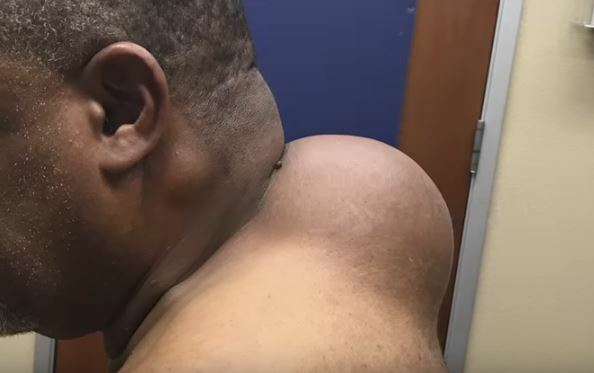 In her latest nauseating clip Dr Popper, real name Sandra Lee, removes a colossal lipoma that’s roughly the size of a bowling ball from her patient’s neck and she’s posted it on YouTube for us all to enjoy. Or at least watch in open mouthed shock as you desperately try and choke back the vomit during the full stomach wrenching 17 minutes this video goes on for. But despite being her largest pop to date Lee wasn’t totally satisfied with the video. Initially I thought it maybe, just maybe, would pop out almost whole. But it wasn’t meant to be – [there were] too many fibrous connections keeping it attached to him. During the op Lee does her best to get the lipoma, which is a fatty lump that forms between the skin and underlying muscle layer, in one smooth motion but it takes far too much pulling and pridding until the inevitable happens. 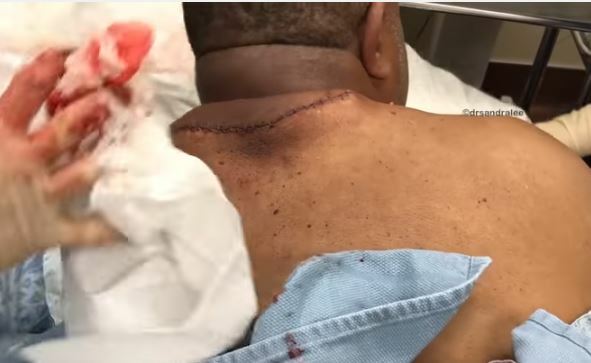 Once she had all of the lipoma out of her patient’s neck Lee stitches him up, closing his open wound. A month since the operation Lee claims that her patient is doing fine although rather disturbingly he sometimes misses his in grown pillow… gross.